What I wore to work one day...And yes, I wore sweatpants to work. Haha. If I remember correctly, I didn't actually wear this outfit out. The dress is way too short to wear on its own in my opinion =(. I think I'll be tucking it into skirts this spring. Handmade metal bracelets - various street shops in Seoul, Korea. 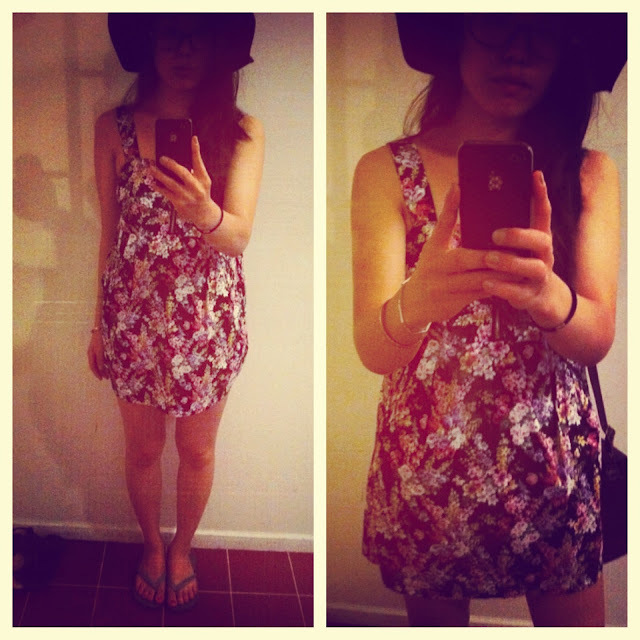 LOOOOOOOVE the floral dress!! 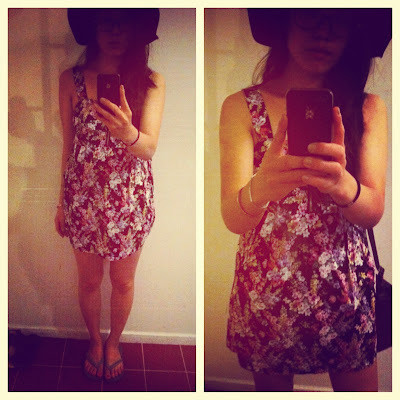 im in love with floral prints!! 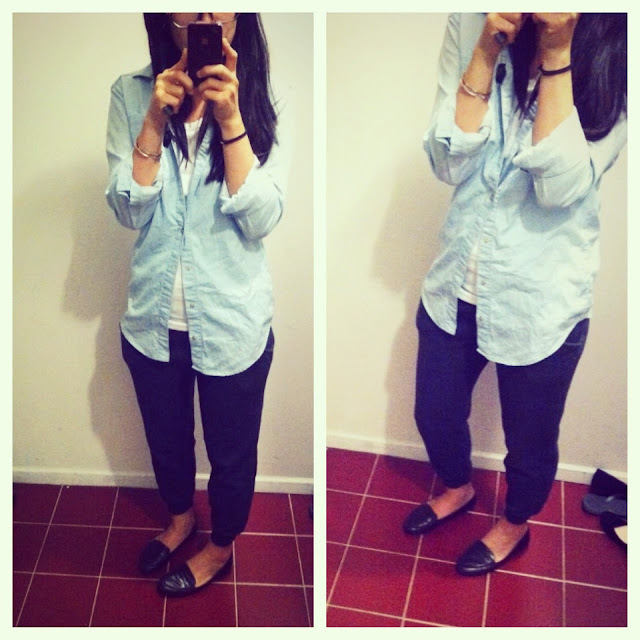 you have great style:) im hitting the follow button!!! !